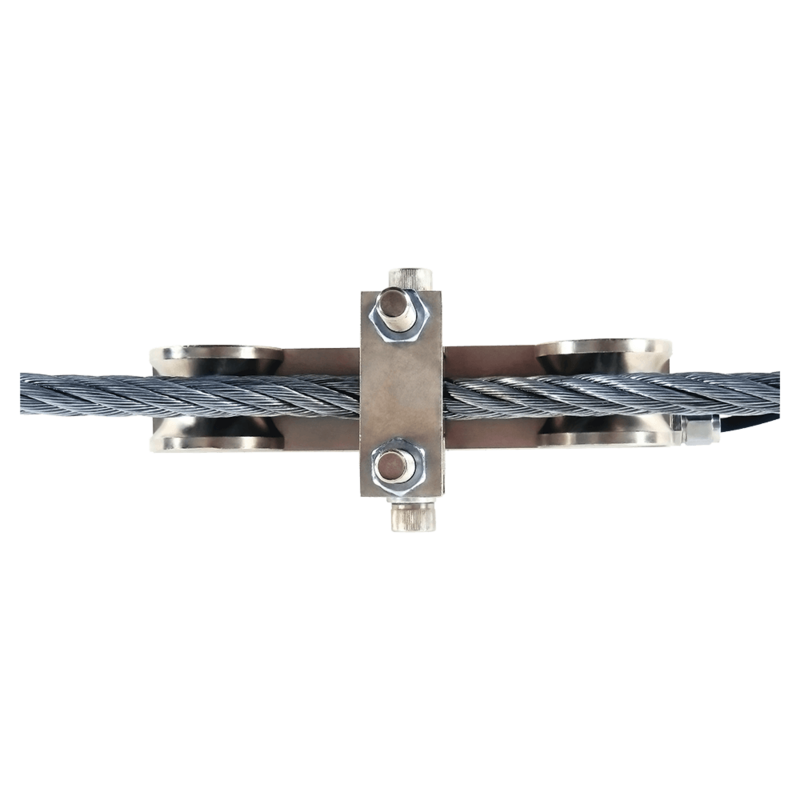 Product information "Double ended shear beam D80S"
The cable guard D80S is the ideal solution for load indication in wire cables; for retrofitting in overload protection devices. The flux of force in the cable is not interrupted, but only slightly deflected, which means that structural changes to the rope as well as static calculations can be dispensed with. The increase in stress, which changes in proportion to the weight increase, is measured here. 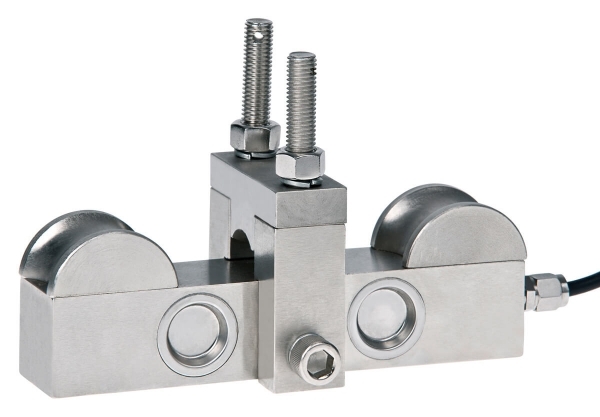 The D80S double ended shear beam load cells are made of high-quality, alloyed tool steel, and are symmetrically structured and very compact, enabling precise measurements even under dynamic loads in a harsh industrial environment. Basic principle: Without affecting the safety of the steel cables, the device measures the result of the stress increase in the steel cable, which changes in proportion to the weight increase. The load cell is laser-welded and fulfils the requirements of protection class IP 66. 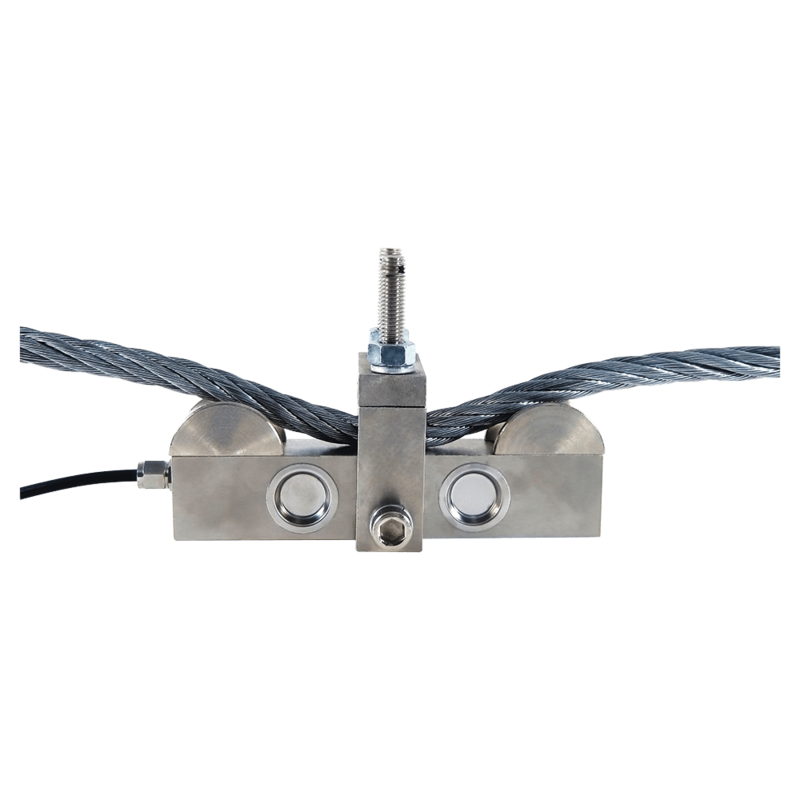 The cable force transducer is ideal for the fast and reliable determination of forces in loaded ropes, without the effort and the risk of the intermediate connection involved in a tensile force meter. In order to monitor the cable tension carefully and continuously, the load cell is mounted in series with the cable. The flux of force in the cable is not interrupted, but rather only slightly deflected. The magnitude of the deflection force is measured by means of a strain gauge, enabling the inference of the magnitude of the tensile force. Cable tensioning, measuring tensile forces, measuring the tension of wire ropes, monitoring of cable pull tension - overload protection. 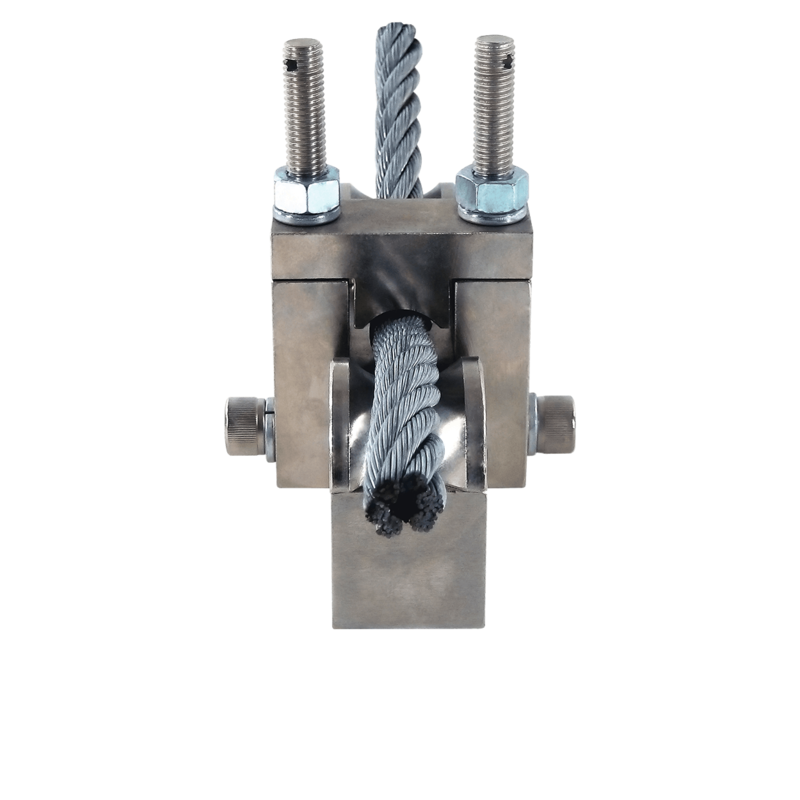 Determining the tensile stress in anchoring cables. The cable force transducer is not suitable for safety-related applications in crane and lifting systems. The cable force transducer is attached to the cable by means of a clamping bridge. The cable is slightly deflected by two supports with rounded treads. The force acting on the supports is proportional to the cable force. The measurement must take place on the stationary cable. It is essential that additional safety measures such as safety catches, catch chains, etc. are installed, so that the load is intercepted in the event of a failure of the cable, which cannot be ruled out. Related links to "Double ended shear beam D80S"
Our comment on "Double ended shear beam D80S"